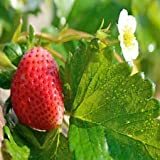 Strawberry Mara des bois growing herbaceous of the genus Fragaria also known as Mara Strawberries of the forest, Strawberry Mara des bois perennial evergreen plant, used for the edible fruits and as ornamental groundcover plant, grow in temperate, mediterranean or subtropical climate and growing in hardiness zone 5-10a. Leaves grow on stems the leaf divided for 3 lobes the edges serrated. Flower color white and the flower have five petal the stamens yellow. 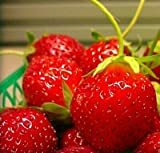 Fruit are red with cone shape sometime can be in heart shape, the size of the fruit small to medium 1-3 cm, taste remind Alpine strawberries. 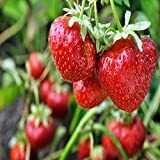 Lulan Mara Des Bois French Everbearing Strawberry 100 Seeds - BEST FLAVOR! 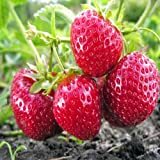 What can be done with big quantities of Strawberry Mara des bois fruits?